You are here: Home / featured / Space Ibiza celebrates 25 years with huge complilation. For 25 years, Space Ibiza has been the world’s most respected nightclub. Consistently hosting the most popular nights on the island, the Platja d’en Bossa club has featured every single great artist in the world of electronic music. In the year of its 25th anniversary, Space Ibiza has been chosen as the global number one at three of the most important dance music galas; IDMA, DJ Mag and Vicious Magazine awards. 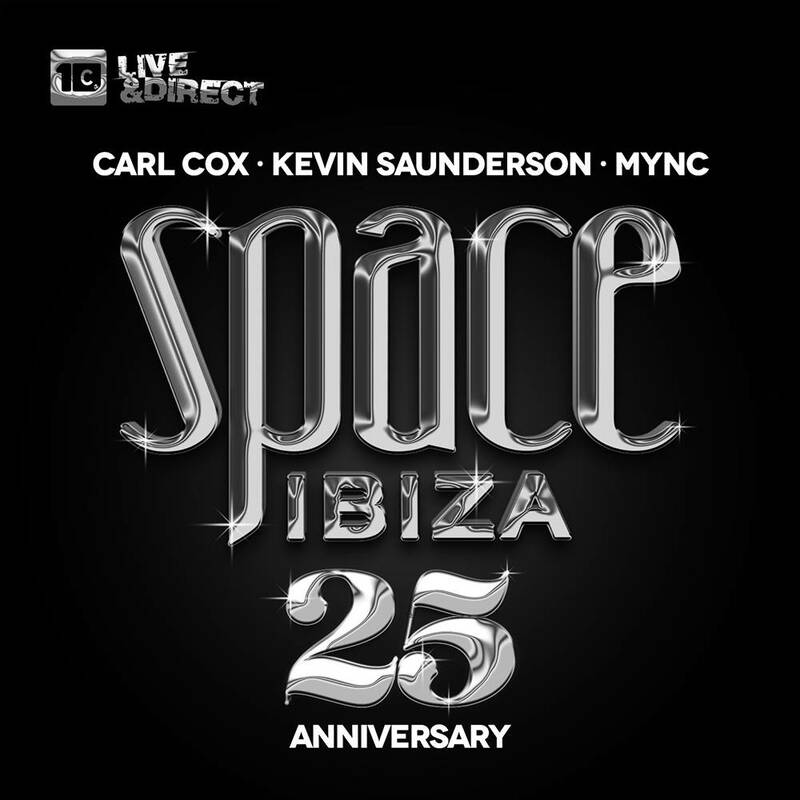 In order to celebrate this 25th Anniversary, Space Ibiza and Cr2 have produced this compilation featuring three DJs who have become synonymous with Space. The compilation also celebrates Cr2 Records own landmark, their 10th Anniversary. For many fans and connoisseurs, Carl Cox is Space Ibiza. His legendary nights at the club have always featured some of the most forward-thinking techno on the island. A staple of the club scene for over two decades, Carl Cox provides a mix combining some of the hottest names in the underground scene with the very best of his Intec label artists. Kevin Saunderson needs no introduction. Along with Juan Atkins and Derrick May, he can rightfully claim to be the originator of the techno sound. Hailing from Detroit, Kevin is the man behind the classic Inner City tracks ‘Big Fun’ and ‘Good Life’. Besides, he runs the successful KMS label. His mix features classic tunes by artists of the likes of X-Press 2 and Paperclip People – as well as unreleased gems from the KMS family. As head of Cr2 Records, MYNC has been responsible for discovering some of the biggest names in Dance music. Eric Prydz, Fedde Le Grand and Chuckie are some of the artists that have had Cr2 as their home over the last decade. A respected producer and remixer, MYNC has remixed the work of artists such as Azari & III, Nervo and Nile Rodgers. A versatile DJ, MYNC has given us a mix of cutting-edge sounds that are currently being heard all over Ibiza with a few trademark curveballs thrown in.